Life can change in a moment’s time, so why not let Canvas Direct™ document those moments by turning your personal pictures to art? Instead of carrying around old, torn, and bent photos in your wallet, display your proudest moments for your family and friends to admire by converting your pictures to art. 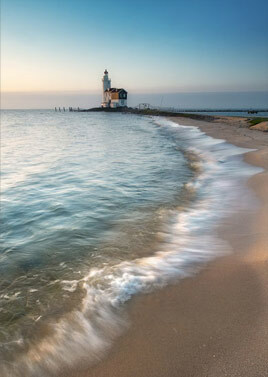 Canvas Direct™ can turn almost any photo to art that will last as long as your fond memories. Looking back at old pictures, how many life-changing moments have you neglected to celebrate? What better way to honor your memories than to let Canvas Direct™ create art from your photos? Photo art can personalize any space. Looking to create wall art that speaks to your personality and accomplishments? Convert your photos to art, or check out our other canvas printing features to convert your ordinary living space into your own photo art studio. Create a large print of art from a photo or use our photo templates to help envision the perfect collage of photo art. Weddings, children’s portraits, sports photography, generational family photos, or even everyday moments can line the walls of your home or workspace. Whether these photos were taken by you or a professional photography studio, Canvas Direct™ can make any photo art. Canvas Direct™ also specializes in working with professional photography studios to bring quality photo products and one-and-only personalized images to life by printing photos as art. Create lasting memories by trusting Canvas Direct™ with your photo to art needs. Canvas Direct™ can print just about anything to canvas! All you need to provide is a high quality digital scan or photograph. We have printed old love letters, children's drawings, family portraits, restaurant menus, blueprints, and just about everything in between. We have so many different products to choose from. We guarantee you will find exactly what you want. From fun and colorful Pop-Art prints, to amazing Wall Dispays for larger spaces, Canvas Direct™ has just what you need to cover your walls! Whether you have just one image to print, or multiple, our custom canvas prints are the perfect way to personalize, as well as beautify your space.